As life spans get longer and longer, there are now more challenges and opportunities involved with navigating transitions before and during retirement. Here's what you need to know. WASHINGTON — As you might imagine, we work with many people who are approaching, or are already enjoying, their retirement years. The years we spend in retirement are getting longer because we are staying healthier and living longer. It’s not unlikely for people in their mid-60s today to enjoy a life expectancy of another 20 to 30 or more years. Along with the good news of longer life spans comes the challenges and opportunities involved with navigating transitions before and during retirement. As you approach retirement, you may be thinking about how you want to spend your days and if you will have the resources to live the life you want. Hopefully, if you have been working with a financial adviser, you have a good sense of your cash flow and assets available during retirement. If you are still uncertain as to whether you will outlive your money, it’s time to solidify your financial plan for retirement so you have a clearer picture of where you are today and where you want to be at retirement. At Her Wealth, we created a “Fearless financial plan for retirement checklist” that provides a road map of what to consider at least five years and one year before retirement. Having a complete financial plan which addresses cash flow sources and a realistic living budget, as well as Social Security, Medicare, long term care, insurance, taxes and estate planning, to name a few needs, is critical to envisioning what your future retirement will potentially look like. 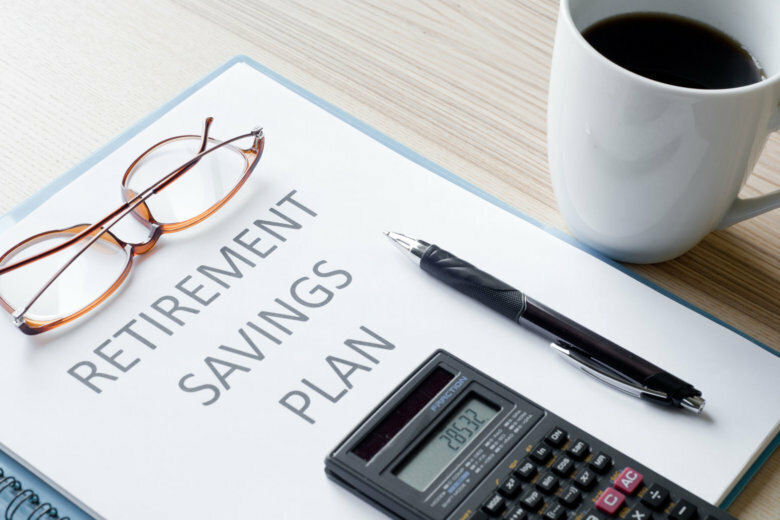 As a wealth adviser, I believe it’s important to incorporate both quantitative and qualitative planning to allow for a fulfilling retirement and a life well-lived. At The Colony Group, we became aware of a unique partnership between The Hartford Funds and the MIT Age Lab. Instead of looking at retirement as an end, the MIT Age Lab sheds light to a new retirement story that lasts on average for 8,000 days. Briefly, the MIT Age Lab divides a person’s life into four equal parts of 8,000 days: Learning, Growing, Maturing and Exploring. Exploring — retirement journey beginning mid-60s. In its studies, MIT found that most people only had a vague idea of what they would do in retirement and viewed it as a single state. They found that without a clear vision, many retirees are unprepared for what comes next. Frankly, deciding what to do for 8,000 days is daunting and the needs, interests and ability of someone who is 65 can be vastly different from someone who is 80. You may know exactly what you plan to do on Day 1 of retirement but do any of us really have a clear vision of Day 4,000? Each of these four phases will cover changes in work, health, finances, housing, marital status and other issues that will arise as you make important decisions over the next several decades that span our 8,000 days retirement journey. So, let’s dive into Phases 1 and 2. We will cover Phases 3 and 4 in our next article. The first stage of retirement is aptly called the honeymoon phase since it is characterized by having resources, good health, more time for leisure activities, travel, social connections and a desire to pursue new interests. The beginning of retirement can be a bit ambiguous as it relates to what role “work” will play, ongoing income needs and family dynamics. The transition from work to retirement might be a gradual process where you work part-time or on a consulting basis. Among 65- to 74-year-olds, labor force participation is predicted to hit 32 percent by 2022 according to the Centers for Disease Control and Prevention’s report, Productive Aging and Work. The gig economy, as defined by flexible and freelance-type jobs, such as driving for ride-sharing companies and dog walking, has provided new jobs for retirees looking for extra cash. Based on a MarketWatch article, “Retirees are working in more hipster fields thanks to the gig economy,” with nearly 24 percent of adults between 55 and 74 working in alternative jobs considered part of the gig economy. For some, especially older women in their retirement years, working through retirement may be a necessity to make ends meet. Later-in-life divorces, dubbed “gray divorces” have more than doubled since 1990 in couples who are over age 65, and they make up 25 percent of all Americans who divorce over 50. The rise in gray divorces has caused significant financial strain for parting couples, especially women, who are expected to live longer lives. They simply don’t have as much time to rebuild their retirement base. Family dynamics are another important consideration during the honeymoon phase, especially as it relates to parents providing financial help to their adult children and helping aging parents with their financial support, personal care and errands. Baby boomers in their retirement years are described as the Sandwich Generation because of these dual responsibilities. Addressing the ongoing financial and caregiving support for other family members is critical in determining how your own long-term retirement plan will be impacted. One recommendation from the MIT Age Lab is for new retirees to find a retirement mentor (a retired person who is thriving emotionally, physically and financially) to meet with on a regular basis and discuss retirement challenges and issues they have encountered such as cost of living in retirement, good areas for retirees to live, navigating health care and maintaining an active social life. At this second phase of retirement, you have adjusted to being fully retired and have more free time for social connections and exploring new activities. Typically, work has been replaced by increased volunteering, grandparenting, travel plans and hobbies. Individuals and couples also begin facing some big “tactical” decisions which include where to live, how you will get around and who you will spend your time with. Today, more than 40 percent of women over 65 live alone in the U.S.
Planning where and with whom to retire may be as important as how much it will cost. Who will change my light bulb? This addresses much more than basic home maintenance and opens the conversation about housing options be it aging independently or moving to a retirement community or assisted living. How will I get an ice cream cone? This question speaks to quality of life and having easy access to get around. Do you have transportation to go where and when you want? How long will you continue to drive; and if you are unable to drive, do you have people to take you or can you use alternative transportation? Retirees enjoy having ample activities and people to keep them engaged and having easy access to medical care and pharmacies increases in importance the older we become. Who will I have lunch with? Lunch is more than a meal — it ties into your social network of friends, who you see on a regular basis and what activities you do to keep engaged. This second phase of retirement can be a purposeful time to explore meaningful and interesting pursuits such as taking classes, mentoring students, volunteering and becoming more involved in civic organizations. Retirees are now drawing income from different sources, many of which may be more fixed income based such as social security, pensions and IRAs. Take the time to meet regularly with your financial adviser to make sure your long-term plan is intact and accommodating your new changes. If you haven’t reviewed your estate plan in a while, you should certainly update your beneficiaries and legacy documents. When it comes to retirement planning, many of us only focus on accumulating assets and making sure we spend our money wisely. While many retirees fear outliving their wealth, there is an even greater risk of losing your independence to declining health, being unable to access things you enjoy or need to get to and having fewer friends in our social networks. Having these more qualitative conversations with your financial adviser allows you to better prepare for an extended and more enjoyable retirement. These conversations can replace the fear and uncertainty of the “unknown” with a road map to a more gratifying journey in retirement. Next week, Dawn Doebler, co-founder of Her Wealth and Senior Wealth Advisor at The Colony Group will continue our 8,000 Days journey through Phases 3 and 4.